There are trillions of stars throughout the universe. Stars are fiery balls of hot gas that are constantly burning. Inside of each star, atoms of gas come together and create a nuclear reaction. This makes them rise in temperature to millions of degrees, creating a star's glow. As these stars shine, they release light, heat, radio waves, and radiation. But, when their nuclear fuel is used up, they no longer glow. There are plenty of stars in space ranging in different sizes. The most common are about 1.4 million kilometers in diameter, which is around the same size as our sun. Stars that are 100 times bigger than the sun are called giants. Supergiants are stars that are 300 times bigger than our sun. On the other hand, some stars are much smaller than Earth, but can be as dense as the sun. These are called dwarf stars. The color of a star is dependent on how hot it is. For example, blue stars will always be hotter and red stars will always be colder. Scientists use the Hertzsprung-Russell diagram, which measures size and color, to determine a star’s luminosity. A star’s relative glow may seem dim, but this diagram finds absolute magnitude, which reveals how radiant a star actually is. 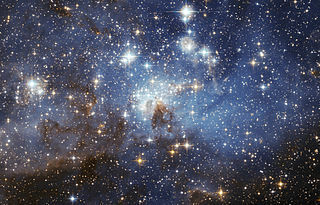 In the universe, stars are constantly dying and being born. Stars that are bigger have a shorter life span. When a star dies, it creates a gigantic explosion that is called a supernova. Stars also have many practical uses. For example, ancient astronomers used constellations as tools. The Big Dipper, for instance, indicates which direction is north. Each star in a constellation is named after a Greek letter. Alpha, the first Greek letter, labels the brightest star in a constellation. Alpha Pegasi, for example, would be the brightest star in the constellation of Pegasus. Without stars, human life would certainly be a lot dimmer!